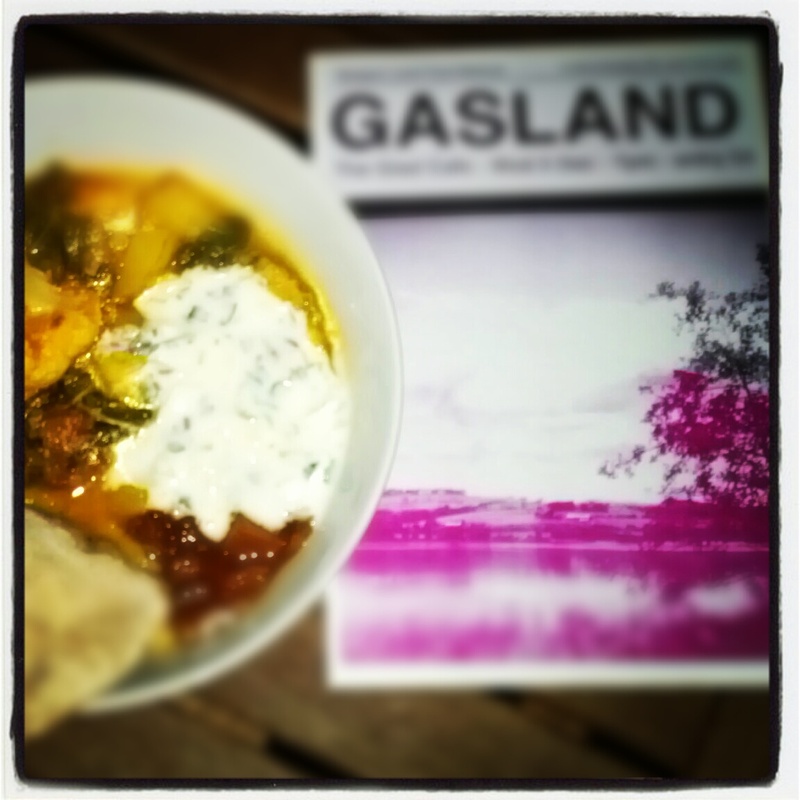 Last week about 40 people came along to The Glad Cafe (an amazing new music and cultural venue on the Southside of Glasgow!) 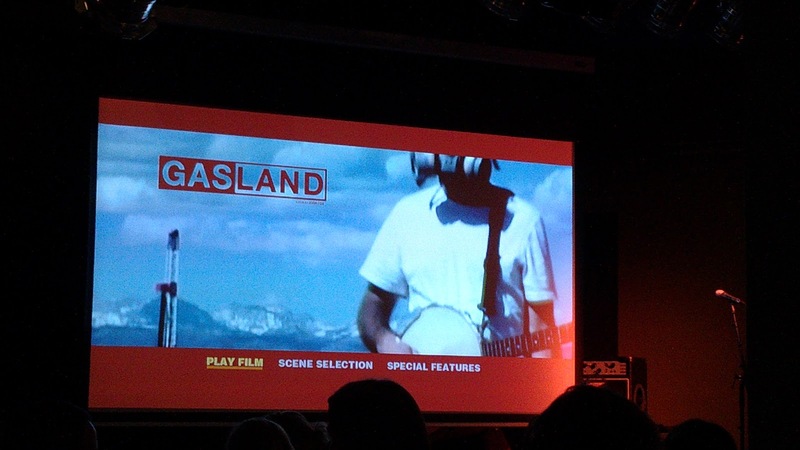 to watch the award winning documentary Gasland. I hadn't seen the film before but I had heard a lot about it and how it really highlights the dash for gas in the US as a result of the political desire for energy security and domestic energy supplies. This has seen huge corporations frack there way from state-to-state resulting in the huge negative health and environmental impacts that the film documents. As we followed Josh Fox, a resident of Pennsylvania who had been offered $100,000 so a company could frack on his land, on his journey from community to community to discover what fracking was all about and the negative impact it was having. Just how quickly people, animals and nature were being contaminated and become very ill. This isn't a slow build up over several years - the contamination of the water course was pretty much instant and people were becoming ill within days and weeks. Many of these were in very rural locations and were basically being ignored by the political process - collateral damage in the dash for gas! The level of corporate influence on politics, especially during the Bush administration, that has allowed these corporations to circumvent long established Government regulations and basically given these corporations free range to do what they want, where they want, when they want with absolutely no accountability. As one of the environmental campaigners interviewed in the movie said, "You can't monitor these things if you don't know what you are supposed to be monitoring. Also in the US a new joint campaign against fracking as set up called Americans Against Fracking, a national coalition against fracking. So what does this mean for Scotland? And what does this mean for local food? Well in Scotland the plans are to frack across the Central Belt (the most densely populated part of Scotland) to try asnd extract this gas - this will undoubtedly haev a huge impact on a large part of the population and will also effect large areas where food is grown and produced and surely effect our water supplies, which is totally unacceptable. So keep lobbying the politicians and putting pressure on the UK Government to reverse their recent irresponsible decision! Many thanks to Clem for organising the film screening and all the volunteers that helped out on the night.